One of the great joys of blogging is meeting so many wonderfully talented friends. 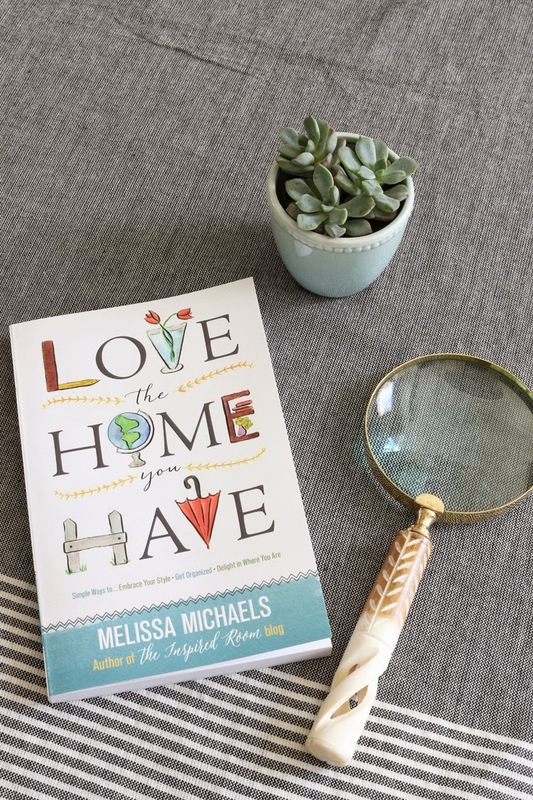 Today I'm excited to share about a new book, Love The Home You Have, written by my friend Melissa of The Inspired Room blog. 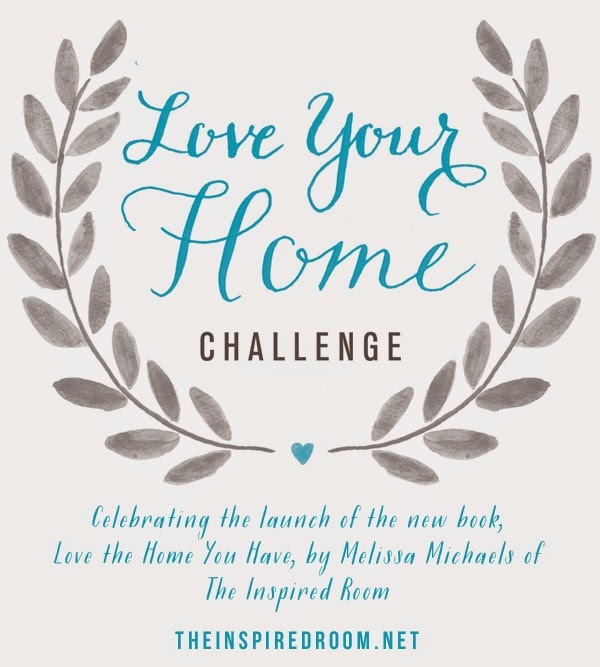 As part of her book launch, Melissa asked me to participate (along with several other amazing bloggers) in a small "Love Your Home Challenge". She has several of these challenges in her book. They are simple ways that you can make the home you currently have into a space that you love and that is a reflection of you and your family. You might be thinking that this seems too simple...and you're right! That's the point of Melissa's challenges...they're easy! And this one literally takes no time at all....but it makes me smile every day. Which is what the point of loving your home actually is. Am I right? Truth be known, these notes really are inspirational to me. They always start my day out on the right path! What a great way to make my home a place that nurtures! 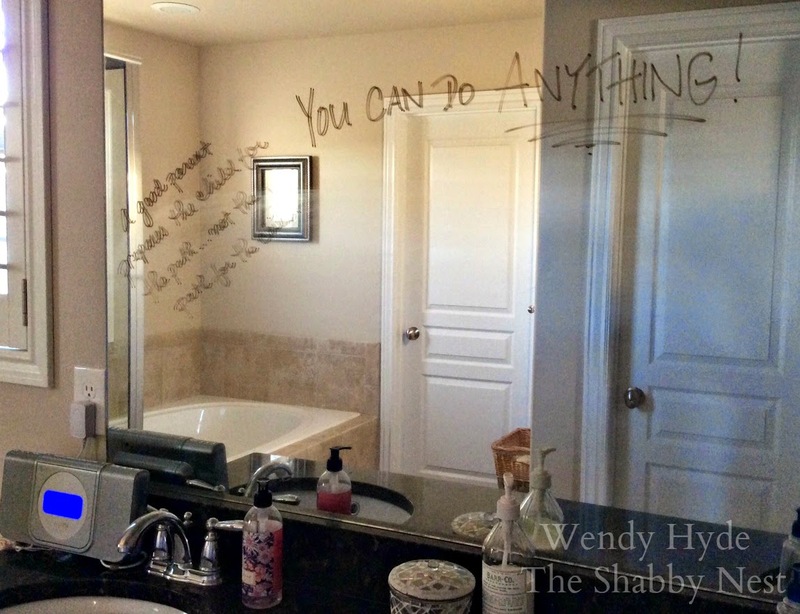 I also like to add notes or doodles (like snowflakes in the winter) to my kiddo's bathroom mirrors. It's a fun way to let them know I care! Along with the 31-day Love Your Home challenge in her book, Melissa shares other simple and practical ways to make our current homes place we love. This concept resonates with me in that I have a strong belief that our homes are havens for ourselves and our families and we should make them places of comfort and beauty. We don't need big budgets to accomplish this goal...just determination and creativity! You can find links to the posts by each of the participating bloggers at The Inspired Room. I received a copy of the book, Love The Home You Have, free of charge, but the opinions expressed in this post are 100% mine. 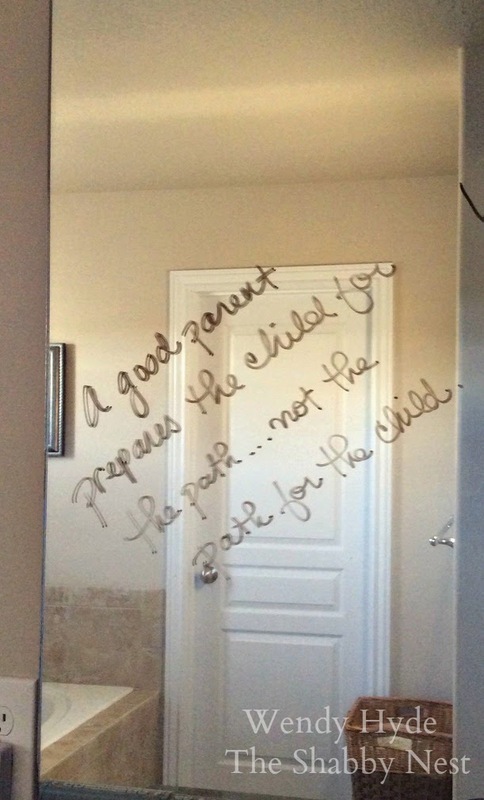 I think I am going to start doing this for my kids :) Love it!